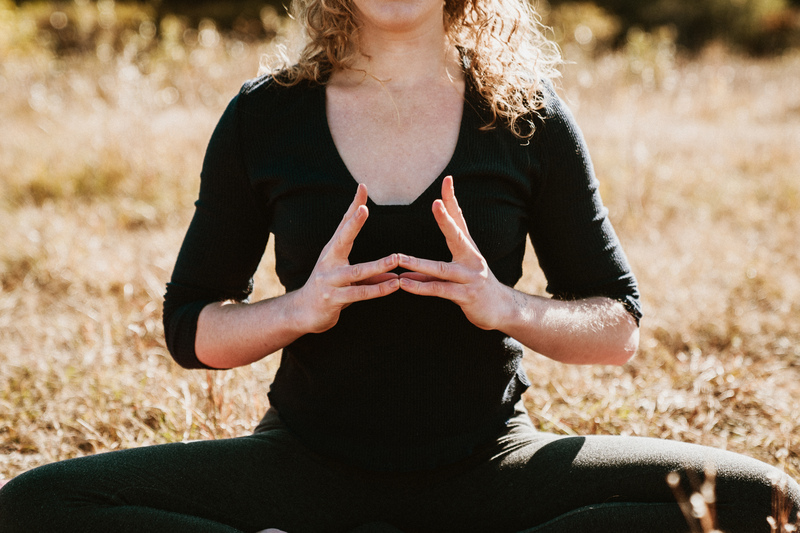 I am a yoga therapist using mind-body tools to help clients empower themselves in improving overall wellness, including mental health and relationships. Working with me, we will draw from breathwork techniques, meditation, guided imagery, restorative/relaxation body positioning, and addressing physical stress patterns to create better balance and improve self-regulation. I am particularly focused on how traumas pattern themselves in the nervous system, and how this underlies many of our chronic conditions. Across my specialities (women's health, substance use, Lyme and chronic illness), I see again and again the ways in which working on basic nervous system regulation with mind-body tools can have a profound impact on my clients' daily lives. I love witnessing my clients realizing they have the capacity to feel better, and to create sustainable changes within themselves. The sense of empowerment as clients progress within their mind-body practices is an honor to witness. I offer a free 15-minute phone consultation to answer any questions about the process of yoga therapy and discuss which packaging of services might be most relevant. I offer in-person sessions in the Baltimore, MD area and am also happy to work with clients virtually. If a client decides they are interested in working together, I send an intake form via email, and we schedule either a 60-minute or 90-minute intake session to assess the needs of the client and therapeutic goals. Depending on the identified goals, we may choose to have 45-75-minute sessions on an ongoing basis, or we may isolate specific practices to be guided via online platforms a few times a week. For example, a morning breathwork package might consist of me instructing a 15-minute breathwork practice for the client four times a week. I hold a Master of Science in Yoga Therapy from Maryland University of Integrative Health, am certified by the International Association of Yoga Therapists, and am a Registered Yoga Teacher (500hr) with Yoga Alliance. I have also trained and hold certificates in hatha yoga, vinyasa yoga, prenatal yoga, children's yoga, Thai massage, and am a DONA-trained birth doula. I have been teaching yoga since 2012 and graduated with my Master's degree in Yoga Therapy in 2018. I have worked with patients across a wide spectrum of health care settings and conditions, including acute care hospital wings, neurocognitive clinics, substance use rehab and recovery, persistent Lyme disease symptoms, chronic illness and chronic pain, and women working with life transitions such as pregnancy and early motherhood. Make sure you feel encouraged to listen to yourself throughout the process they are guiding, and ask what kind of training they have received. A certified Yoga Therapist will be designated by "C-IAYT" and should have at least 800 hours of training specific to Yoga Therapy.